By the time this match came around on December 28th, Hearts were flying. Top of the league after 25 games, two points ahead of Rangers, title talk was sweeping through Gorgie. 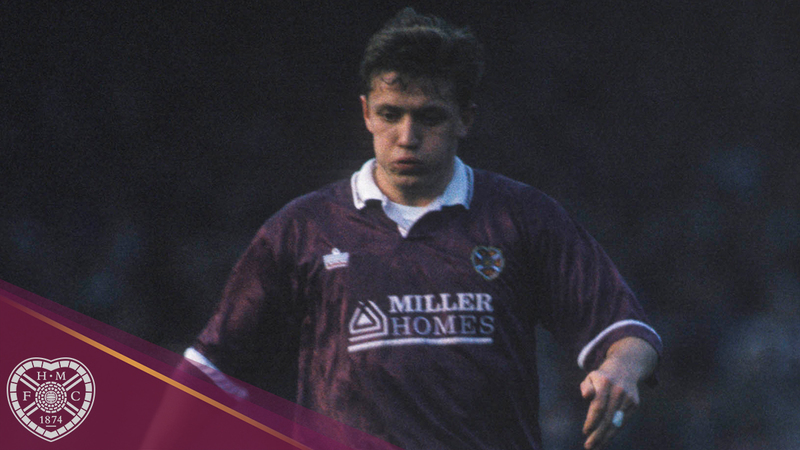 This was Joe Jordan’s 65th match in charge of the Jambos after he took over from Alex McDonald in September 1990. By and large a young squad, the average age of the team for this game was 26, offset by 35-year-old ‘keeper Henry Smith. A week prior to this encounter, Hearts had gone to St Mirren and won 1-0 thanks to a John Millar goal. That victory was the Jambos’ third on the bounce and stretched their unbeaten record back to 12 games. While not the league’s top scorers (36 in 25 games), Jordan’s side could boast the meanest defence, having conceded only 17 goals all season. Hosts St Johnstone were meandering in mid to lower table, sitting in 9th spot. Relegation seemed a million miles away for Alex Totten’s team as they were 13 points ahead of bottom side Dunfermline, but so was the prospect of Europe, with 12 points separating them and third-placed Celtic. St Johnstone: Hamilton, McGinnis, Deas, Cherry, Inglis, Redford, Moore, Turner, Maskrey, Arkins, Curran. Subs: Dunne, Davies. Hearts started the match as they meant to go on, scoring on eight minutes. John Robertson swung a deep cross to the back post for Scott Crabbe to knock back across the face of goal and Ian Baird got there ahead of Saints ‘keeper Lindsay Hamilton to bundle the ball over the line. The hosts made life difficult for themselves 21 minutes in when goalkeeper Lindsay was shown a straight red for handball outside of the box, with midfielder Tommy Turner taking over between the sticks. It took until the second-half for the floodgates to open. Crabbe was again the provider; flicking on a long ball into the path of Robertson, who waited for it to bounce at the edge of the box before lashing an unstoppable half-volley beyond makeshift ‘keeper Turner. Ten minutes after the restart it was 3-0. A flowing passing move down the right flank saw Baird advance into the box before cutting back for Crabbe, who side-footed into Turner’s bottom left corner. Crabbe grabbed his brace with eight-minutes remaining. He cut out a slack St Johnstone pass to feed Gary Mackay out on the right, who crossed into the box for Crabbe to rise highest and direct his header into the corner of the net. Of course, it wouldn’t be a Hearts game in the 90s without a Robertson goal, and he duly obliged in the 84th minute. Again, coming from the right, Mackay dinked a ball into the box for Crabbe to knock back into his path, he played a first-time pass into the box for Robbo, who turned and slammed a shot high into the roof of the net to complete the rout. It was a case of so near yet so far for Hearts in the 91/92 season as the Jambos eventually finished the campaign in the runners-up spot, a feat that would not be repeated until 2005/06. The 5-0 win over St Johnstone was followed up by a draw with Hibs and a win over Celtic, which extended Jordan’s side’s unbeaten run to 15 games. Then came a season-defining run of winless games. A 4-0 hammering from Aberdeen at Tynecastle came next, as did a 2-1 loss at Airdie and a 1-0 Ibrox defeat by eventual champions Rangers. By and large results over the course of the season remained positive, but defeats to Celtic, Aberdeen and Dundee United evaporated any title hopes and Hearts finished in second, one point ahead of Celtic and nine behind Rangers. Ian Paul (The Herald): The 5-0 scoreline, Saints' biggest ever defeat at their new stadium, maybe was not such a surprise. From Totten and the Perth team's followers' point of view it was not much of an afternoon, but for all others it was an exciting display of attacking football from the team which does seem to enjoy the challenge of 'foreign' fields. Eleven away games won and top of the league; it was indeed a grand finale to 1991 for Hearts, who had snatched a victory against the other Saints at Paisley last week without playing well. This time no-one could accuse them of ordinariness. And, even if Totten might not agree, the Edinburgh team looked as good during the opening spell, when Saints were at full muster, as they did in their runaway romp of the later stages. In the mood, Hearts play an attractive game and are a team whose title challenge now has to be recognised as genuine.